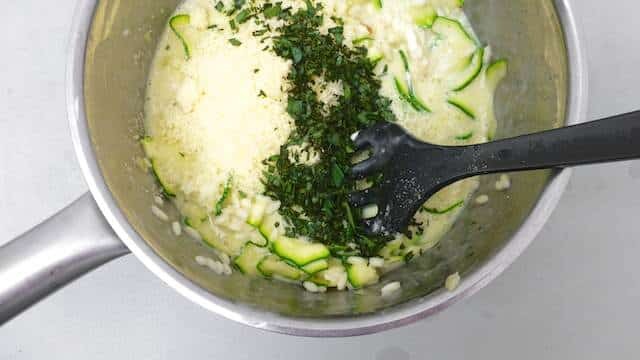 Zucchini Risotto with Tarragon & Mascarpone | Simple. Tasty. Good. 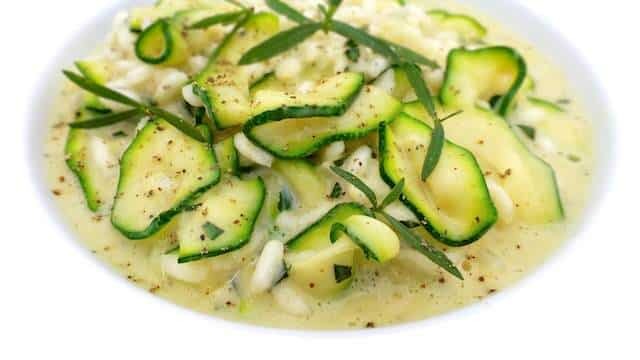 This most easy zucchini risotto brings me back to my very first attempt to make a risotto. It must be about some 8 years ago if I’m not mistaken. I saw it in a cookbook I brought from my local library written by a certain Belgian chef but don’t ask me what his name was because I forgot. Well in it was this drop-dead easy risotto recipe with zucchini. I remember the ugly picture next to it as well, a very unappetizing pile of bland looking rice but it was the simplicity of the ingredients that hit me in the end. And the thought that I could do much better than that. I must have prepared this zucchini risotto 12 to 15 times I reckon. It’s one of those dishes you could make with your eyes closed. But none of these risottos looked or tasted the same. 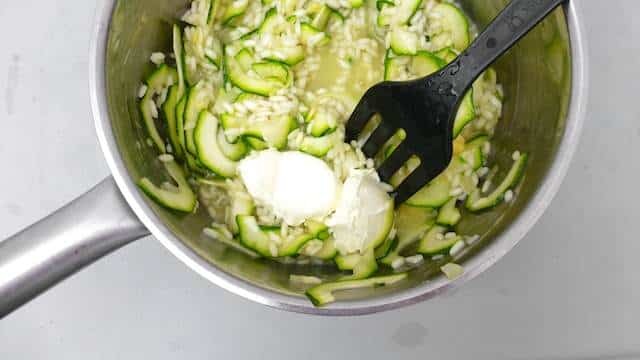 I stick to its main ingredients being Arborio risotto rice, zucchini, butter, tarragon and parmesan. After that it’s all about improvisation and using whatever extras the pantry offers at that moment. That’s where the mascarpone comes in below. I sometimes even add an egg yolk to make the risotto even creamier. Love risotto? Then also check out my mushroom and beer risotto! 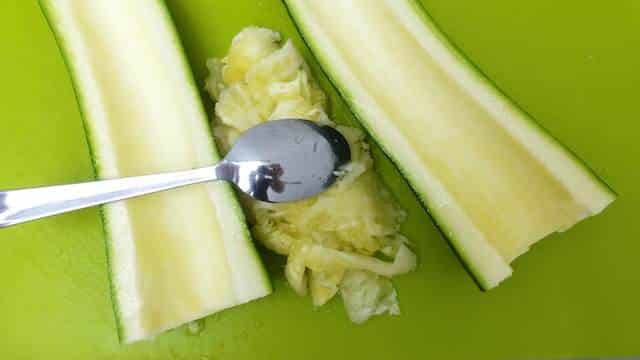 Slice the zucchini in half and remove the softer part in the center using a teaspoon. Don’t throw anything away because we'll use it later. 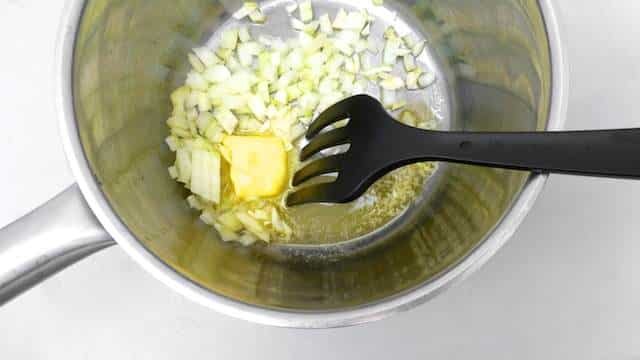 Then chop up the soft zucchini meat and slice the zucchini very thinly. I use a mandoline slicer for that. Pour the olive oil in a large non-stick saucepan and place it over medium-high heat. Add in the chopped garlic and onion. Stir well. Let the onion and garlic sweat for about 3 minutes. Then add the chopped softer zucchini center. Season with some pepper. Stir well and cook for 2 minutes. Season with a pinch of pepper and salt. Now add the risotto rice and stir. 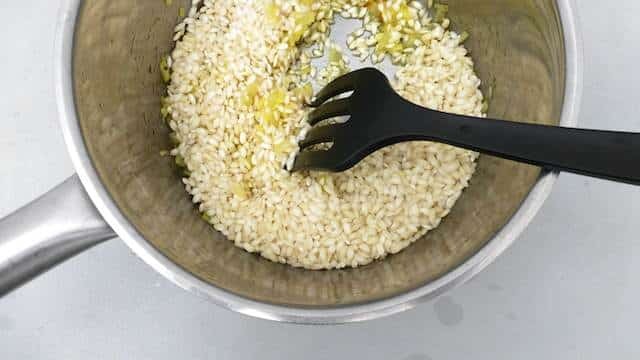 Bake the rice for 2 minutes and then add little splashes of the warm vegetable stock until the rice is almost cooked. 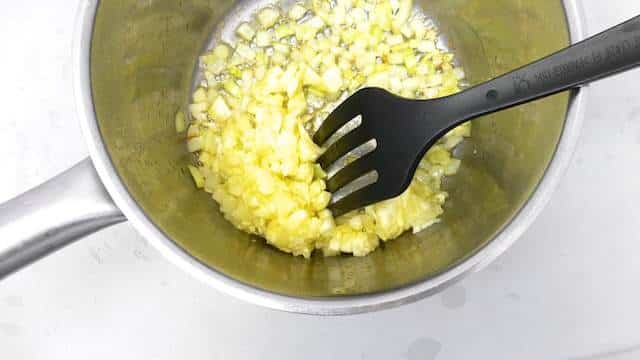 Then stir in the sliced zucchini. Stir well and add the grated parmesan cheese and freshly chopped tarragon. Check the seasoning and add extra pepper or salt to taste if necessary. Cook the risotto for another minute until ready. The zucchini should still be a little crunchy, the risotto rice al dente. Take the risotto off the heat. Scoop it onto deep plates. Sprinkle with extra grated parmesan cheese. Serve piping hot.